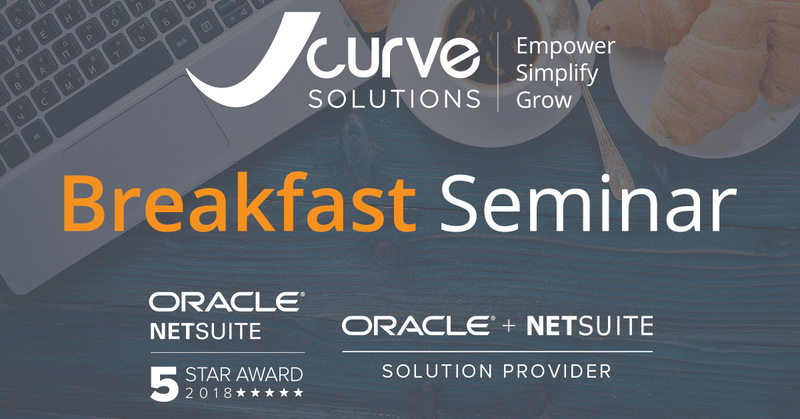 Attend an exciting breakfast seminar and panel discussion leading into SuiteConnect 2019, presented by NetSuite’s global #1 5-star partner, JCurve Solutions. Gain valuable insights from successful entrepreneurs in the panel discussion. Hear advice, business growth ideas, and have the chance to network. Seats are strictly limited. Register now to secure your place. Can't make the breakfast seminar? Register for SuiteConnect instead.